Spring is here, and BoBo is almost able to move his old bones without too much pain. The last two days, he got up on the cat tree, then had a hard time getting down. All night long, he stood over me in bed and he cried. You would think, wouldn’t you, that if it happened once, he would’ve stayed down the second time? Harry’s got his whiskers in gear. He has five suspects now. Can you guess who the killer is? Share your thoughts and then see if you are right when you read the book! In writing The Legend of the Royal Emerald”, I found that, to make it more interesting, Harry needs several different “powers” besides being acutely aware of danger (to keep evil away from his ladies) and the ability to communicate with his former owner from beyond the grave. 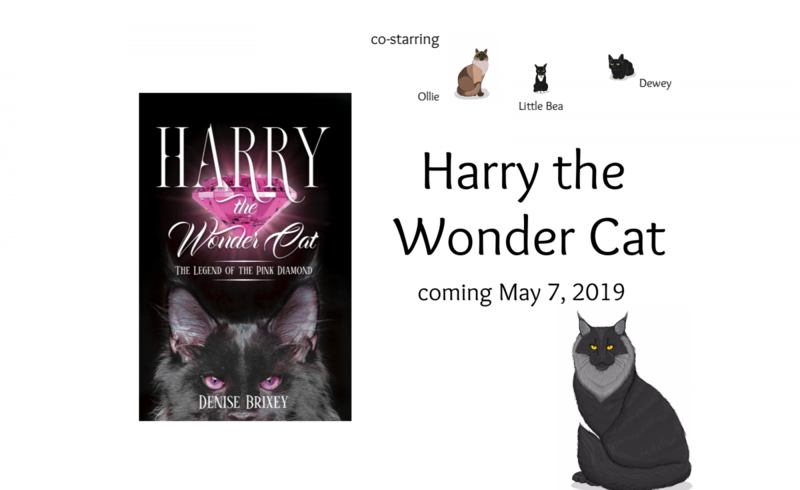 Please, put your thinking caps on and help to think of some great attributes that would make Harry more of a Wonder Cat. Did you know that in Japan, cats are good luck, as are black cats in Australia? Do you know any trivia about our furry friends? Please share it with us in the comments. Spring is almost here and BoBo hogged the only puddle of sunshine around. Poor Mimi (again).